A traditional & contemporary infused design, built in 2013 in the Whitman High School cluster, within a few blocks to NIH campus and downtown Bethesda. Meticulously maintained and feels/looks like new. 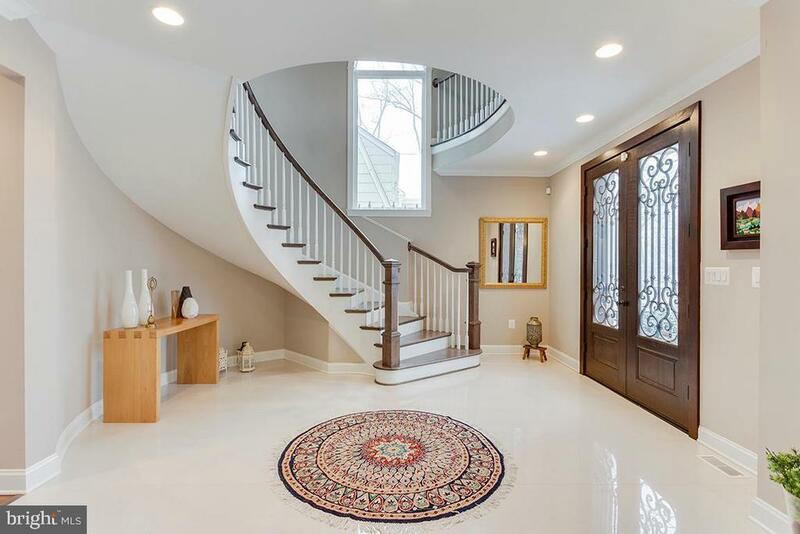 Modern floor plan with striking amenities including gorgeous curved staircase, two story foyer, round sun room, Juliette balconies, handmade brick and cast stone front. Featuring over 5, 000 SF living space on four finished levels. Gourmet island-kitchen with a fantastic breakfast/sun room, Family Room w fireplace, elegant Living Room with a second fireplace, Dining Room, and a home-office complete the main level. Upper level includes four large bedrooms and 3 baths, as well as a laundry room with built-ins. Luxurious Owners Suite with SPA like Bath and private balcony! Finished 4th level features a Studio and another bedroom and a full bath. A truly unique home you have to see.